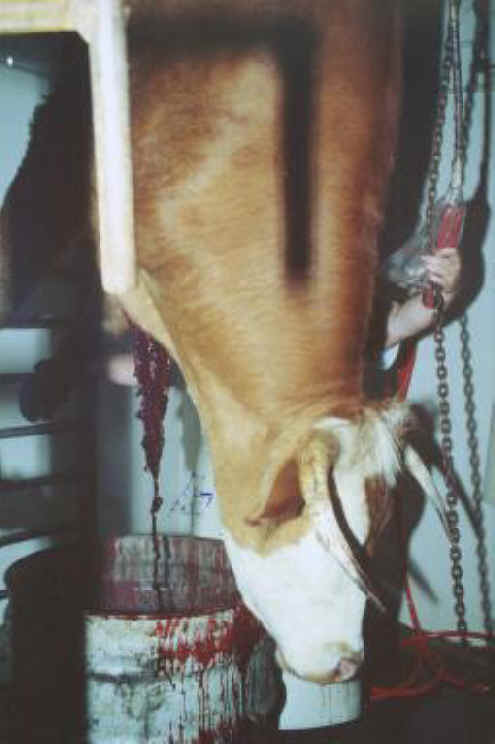 (Cattle Exploitation - Beef - 03) The blood flows like water from a faucet! 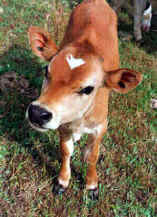 If it bothers most people to think that in some part of the world they eat dogs and cats, whom they love, and it is so easy to love calves like Norman and Hugo, then where is the line drawn that it's all right to eat this animal and not that one? They are all living souls, just as the Bible teaches us.